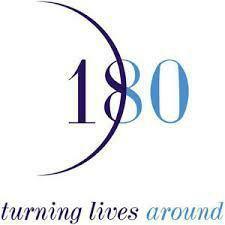 You can be the change you want to see in the world by joining 180’s life-changing mission today. 180’s Volunteer Domestic Violence Response Team (DVRT) Advocates are civilian members of the community who work collaboratively with law enforcement to provide confidential support, information, and resources to victims of domestic violence at police headquarters. Advocates also discuss with victims safety planning and their legal rights in regard to obtaining a Temporary Restraining Order. By providing support and crucial perspective of the situation, these specially-trained advocates help to empower victims to make informed decisions for themselves and their families. The identities of the DVRT volunteers are kept anonymous. Prior knowledge of domestic violence is not required. 180 and the police departments are committed to culturally and socially diverse teams to better serve the community. Bi-lingual capability is helpful. Basic requirements for volunteers to apply: Must be eighteen-years of age or older, have access to transportation, possess a valid driver’s license, be willing to serve on an on-call shift basis, participate in an interview process, submit to background investigations and fingerprinting, successfully complete the mandatory 40-hour training, and attend a monthly supervisory meeting.